In the wake of his passing, I’ve been thinking (like many people, I’m sure) about his performance in Who Framed Roger Rabbit. 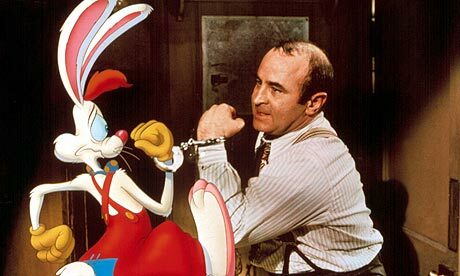 It feels weird to call Bob Hoskins the unsung hero of Who Framed Roger Rabbit. After all, he is the star of the movie and gets the most screen-time. The thing is, though, when I used to watch this movie as a child Eddie Valiant was never the character I paid attention to. With so many childhood icons and bright, colorful new characters lighting up the screen it’s only natural that children’s eyes would be drawn to the toons. Watching the movie as an adult, though, is a very different story. There’s no denying that Who Framed Roger Rabbit is a technical masterpiece. It’s not the first movie to combine animation and live action (far from it), but it is arguably the movie that did it the most effectively. 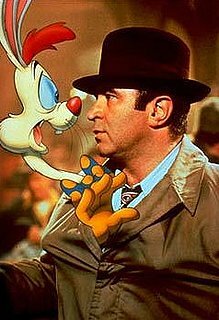 And while the animators and special effects team rightfully receive a lot of the credit for this, I want to talk about Bob Hoskins’ role in this. 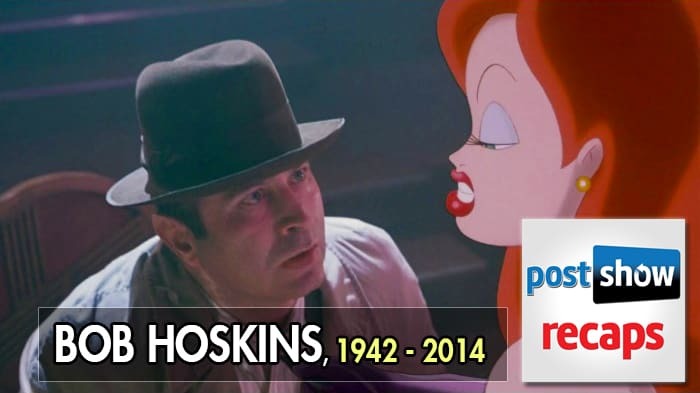 Bob Hoskins made us believe in this world. Unlike certain other performances (the Star Wars prequels spring to mind), Eddie Valiant doesn’t look like he’s talking to a special effect. Roger Rabbit is real, and the entire movie hinges on the audience believing in that fact. That’s a lot of responsibility for any performer. But the brilliance of this performance doesn’t just come down to acting with toons. This is a movie that is simultaneously a cartoon caper and a hard-boiled detective story. That’s a tough act to balance, and at the center of it all is Eddie Valiant, the former detective to the toon stars. 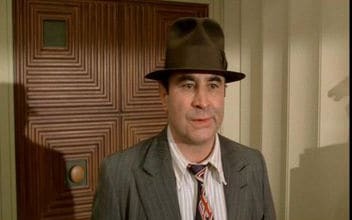 While exuding the tough-guy act the whole movie, Bob Hoskins is careful to let little moments of his wacky, fun side shine through, such as tricking Roger into having a drink or making the weasels laugh. These moments of levity are great hints of the man Eddie used to be. From passing out drunk at his desk, surrounded by artifacts of his former self, to shuddering as he’s about to enter Toontown, Eddie is a man with a past that feels very real. In fact everything about this movie feels real, a heck of an accomplishment for a movie where half the characters were added in post-production. So while much of the credit for this goes to the effects team, the screenwriter and of course the director, I want to take a moment to thank Bob Hoskins for this as well. Not just for Eddie Valiant, but also for Roger Rabbit, Jessica Rabbit and all of Toontown. None of them would exist without you, Mr. Hoskins, you will be missed. By the way, Bob Hoskins is British. That American accent is fake. What an amazing performance!